A lovely cherry blossom blouse, unbleached color. Straight cut, long sleeves. 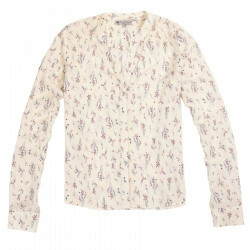 This lovely cherry blossom blouse will please women seeking for an elegant outfit. 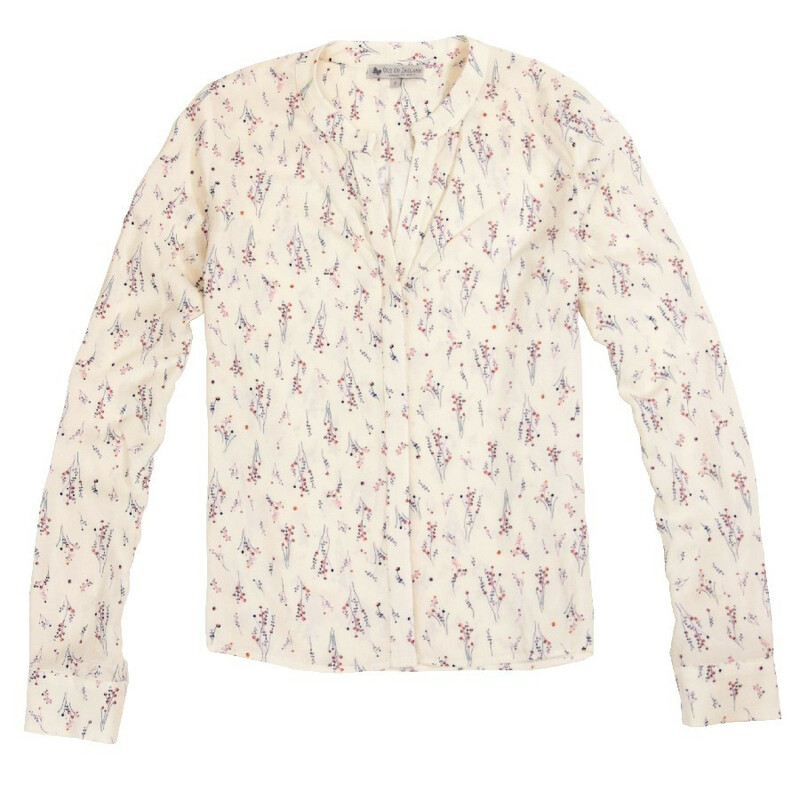 Can be worn with dark pants, this blouse is perfect to go to work. The button tab is hidden for more subtlety. Straight cut, long sleeves and button cuffs.